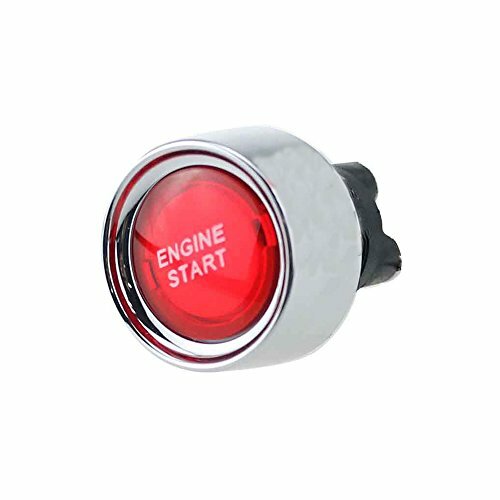 Our car ignition switch made of high quality plastic and matel material, which it is durable in using,the engine start button allows for installation on any vehicles, the engine start button switch allows you to start your vehicle's engine with a push of a button. have 2 colors offer your choose.Features:1.Made of high quality plastic and matel material, it is durable in using2.Universal engine start button allows for installation on any vehicle3.The engine start button switch allows you to start your vehicle's engine with a push of a button4.High performance cars start their engines with a race button 5.Voltage: 12V,Current: 50ASpecifications:Material: Plastic & MetalVoltage: 12VCurrent: 50ALED Color: Red, Blue (Optional)Switch Function: 3P SPST (ON)-OFF(LED)Operation Temperature: -25℃ ~ 85℃Dimension: 3.1 x 4.5cm / 1.22" x 1.77"Package Weight: 25gPackage Included:1 x Engine Start Push SwitchNote:1. Please allow 1-3cm error due to manual measurement. Thanks for your understanding.2. Monitors are not calibrated same, item color displayed in photos may be showing slightly different from the real object. Please take the real one as standard. 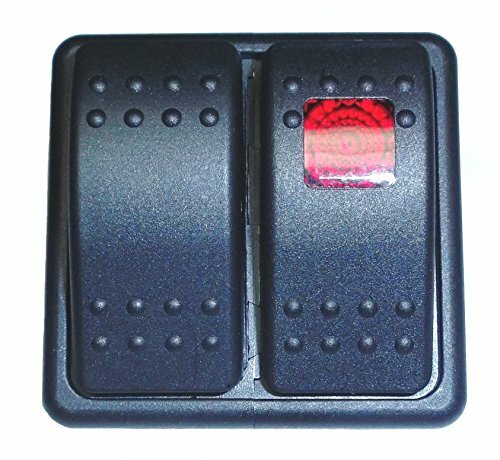 Completely sealed with a polyurethane coating [Weatherproof Switch Covers, Inc] The back side of these switches are completely sealed and weatherproofed with a tough, waterproof polymer coating. Keeps out dirt, dust and moisture that can turn a critical switch into a useless dead end connection, possibly putting you out of a race. 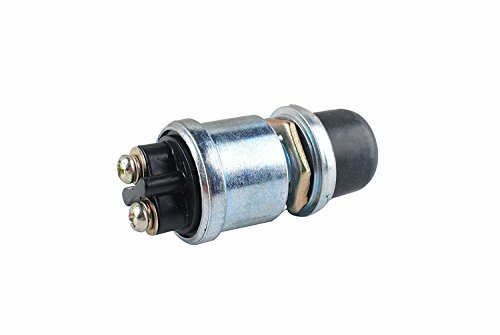 Switch PanelDash Mount4-5/8 x 4-3/8 in3 Toggles/1 Momentary Push ButtonWarning LightAluminumEach ;Includes ignition switch, starter button, 2 accessory switches and 3 pilot lights. 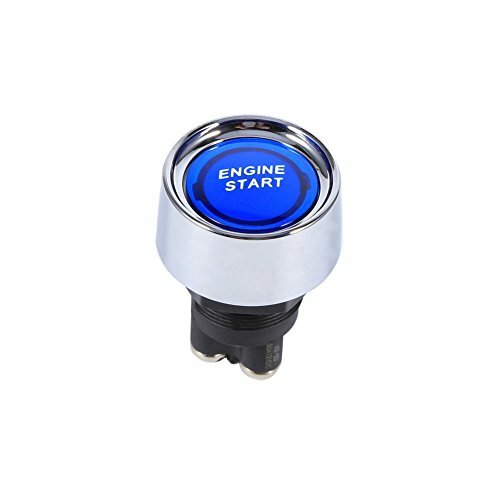 For use with 50-200 or 50-201 wiring harness.This QuickCar Ignition Control Panel comes with one Starter Button, one Ignition switch and two Accessory switches. Panel also comes with three switch Indicator Lights. Panel measures 4-5/8" Wide X" 4-3/8" High. Sold as one complete panel. 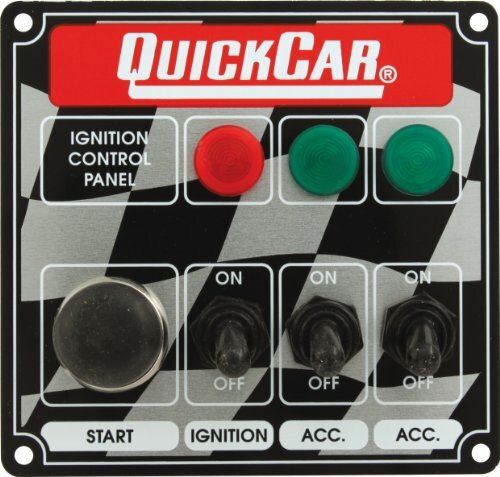 QuickCar Ignition Control Panels are the products that gave QuickCar Racing Products an inroad to the racing industry. QuickCar brought to the market an ignition control panel far superior to the standard of that time and continues to lead the industry today. 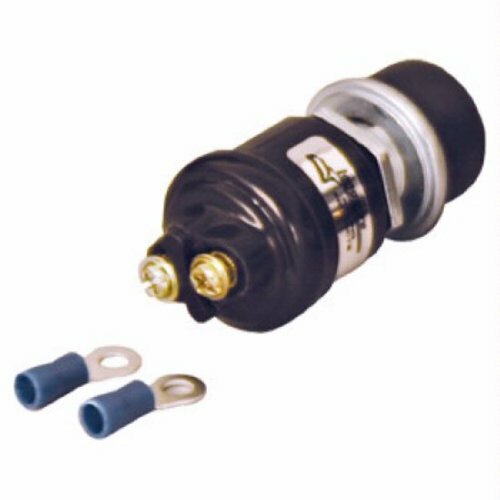 QuickCar ignition products include bridged double-pole switches, waterproof boots, and large gauge wires with heavy-duty connectors, allowing for better electrical conductivity and bulletproof reliability. All of QuickCar ignition control panels are prewired to connect directly to QuickCar heavy duty wiring harness. Quality components, along with QuickCarInstruction Sheet. 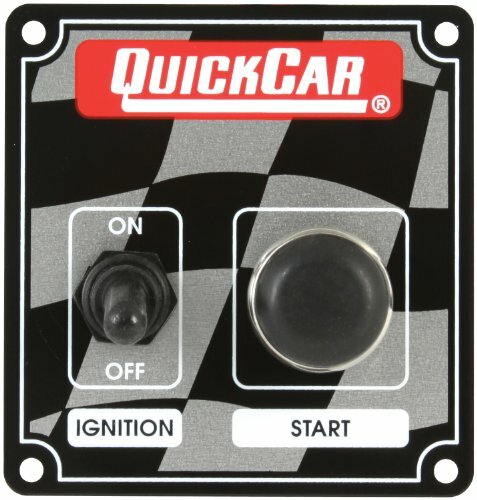 Quickcar Racing Products 50-102 IGNITION PANEL. QuickCar Racing Products 50-166 7" Wide x 4"
Quickcar Racing Products 50-166 ICP20.5 - IGNITION PANEL. Push button with weatherproof rubber cover and 2 terminals. Momentary switch with illuminated single pole switich rated 12 volts and 20 amps. 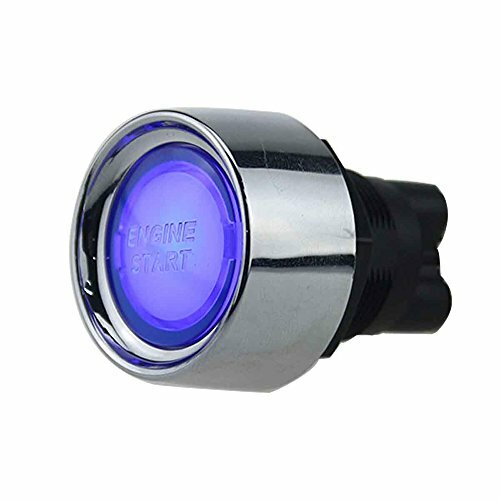 Can be used for Start/Ignition, Nitrous Purge/Arm, or any other automotive/marine application where a test switch and on switch are needed. Easily snaps into a 2" x 1-7/8" hole. 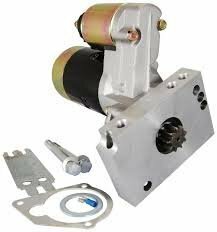 Compare prices on Race Ignition Starter at ShopPlanetUp.com – use promo codes and coupons for best offers and deals. We work hard to get you amazing deals and collect all available offers online and represent it in one place for the customers. Now our visitors can leverage benefits of big brands and heavy discounts available for that day and for famous brands.